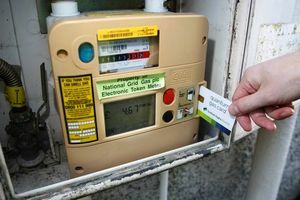 A recent study into the UK energy industry has revealed a fault with over 1.5 million pre-payment gas meters, which has led to suppliers owing consumers for seven years’ worth of over-charges. It was found that the problem occurred when the calorific value – used in pre-payment meters to determine the amount of gas that you need to be charged for – was not set properly. This meant that some pre-payment customers were grossly over charged. The issue has been addressed by Energy UK who assured consumers that energy suppliers were taking steps to rectify the problem and refund all of those affected. Despite this apology industry experts are outraged that the mistake was able to go unnoticed for so long, especially because pre-payment tariffs are already by far the most expensive available to consumers. Gillian went on to call for more to be done to ensure that pre-payment customers receive a better standard of service in the future. As it stands pre-payment meters can only be topped up in a local shop, so customers who have trouble leaving the house, must sometimes go without heat and light. If you have inherited a pre-payment meter at your current property, you may be able to switch onto a new tariff. To find out how, check out our pre-payment meters page.